Our Current Stock of solid brass Hand Bells. See prices below. These are the ONLY hand bells we carry. ...but you would have to have it done locally. 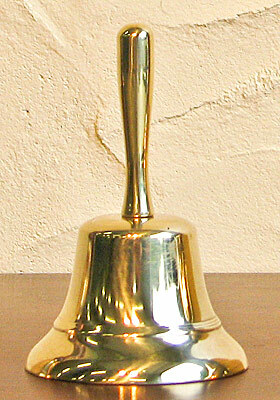 Here are solid brass bells, just like teachers used to use to call students to the classroom back in the old days. These are not antiques or used bells; new in original boxes. quality bronze, which give it the BEST sound. 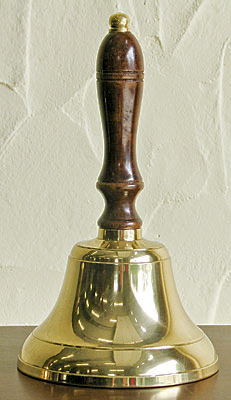 this is the bell to choose. Made in Italy. Discounts given on quantity orders over 10 pieces. Contact us for details. 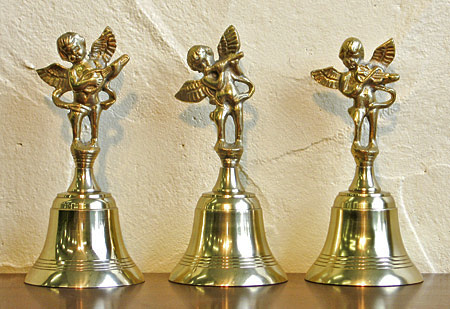 These NEW "Angel Bells" are 6" tall and 3" wide. Sold only in sets of 3 with 3 different angels as shown. They also look great in the table center piece. 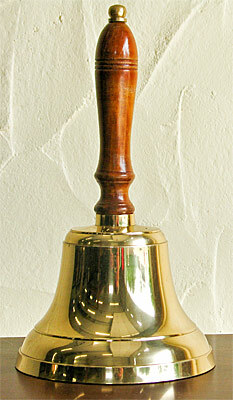 If you need a larger hand bell, look at our teachers hand bells above. Entire Site © 2010 - 2018, Brosamer's Bells, Inc.